Imagine, a long never ending dry river bed turned vertically that reaches into the sky. The rounded stones are cemented into place by the dried sediment. The cobblestones offer you passage up the vertical and overhanging walls via smooth slopers and rounded side pulls. Even missing cobbles provide pockets and edges for your fingers and toes to grip on these uniquely featured walls. It’s a sport climber’s paradise that feels like a climbing gym where Mother nature sculpted the perfect jugs herself. Join Chicks this summer to challenge your skills on this amazing conglomerate rock. This clinic is perfect for the novice climber looking to move from the gym to the crag, those new to leading, and the more advanced climber who wants to learn tactics to improve your lead climbing. We will pair you up with others who share similar experience, ability and goals. Our guides will teach you the tools and that will give you the confidence to up your game, tie into the sharp end and take on higher grades. 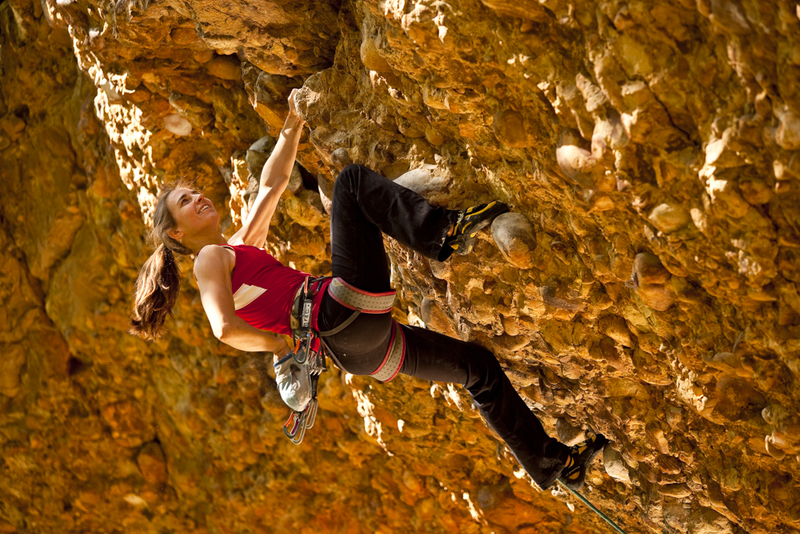 We will focus on sport climbing tactics that will help you take on your next project. Our supportive environment will encourage you at whatever grade or challenge you choose to take on. What are you waiting for? The cobbles await. Arrive in Maple Canyon and meet at the Group Campsite #1. 7:30 pm: Free time after dinner to pack and get ready for the next day. 8:00 am –5:00 pm: Walk to the climbing area, about a 5-10 minute walk. 8:00 am –3:00 pm: Walk to the climbing area, about a 5-10 minute walk. 3:00 pm – 4:00 pm: Appy Hour, hand in demo gear. A closing meeting then hit the road! *Travel insurance is required for all International Trips and is strongly recommended for US programs as well.In the event you have an unexpected life occurrence and need to cancel it will help you recover your payment. Chicks works with an agent who is familiar with our programs and travel insurance needs. Please contact Erin Rountree at 208-788-2870.